It feels good to be back home. My family and I were on vacation last week. We love the beach and went to a new place this year, Destin, Florida. This was the first time we rented a house (13 of our 22 family members went this time) and I must say, I thoroughly enjoyed this new adventure. The ocean (the Gulf of Mexico) in this area of Florida is absolutely gorgeous! The water is a beautiful turquoise color and clear as day! We got to go shelling several days. I love hunting for shells!! This was the first time we were able to 'snorkel' to find them. In fact, I found more shells this year than any other year we've ever gone to the beach! 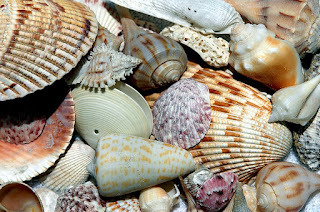 I am planning to make a lamp using all my shells!! 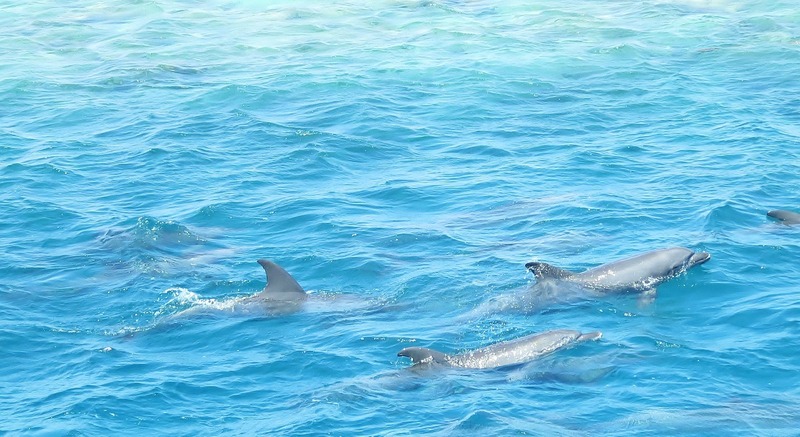 One of God's most beautiful creatures is the Dolphin. It is my most favorite animal of all. 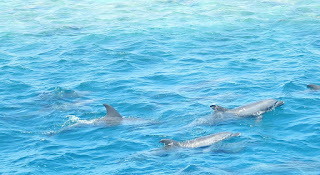 We saw several dolphins on our trip. Seeing those amazing creatures made my heart all giddy with excitement. And as we watched for more to breach the ocean's surface, I could feel all stress just melt away. For whatever reason, this vacation found me feeling particularly close to the Lord. I am always amazed at God's creation. I don't know if it's because I'm getting older or what, but I felt more in awe of my Lord's creation this year as we enjoyed family time. I never want to forget that God created this great big world for US to enjoy!! Ultimately, this vacation has made me want to be even more in tune with my God. It has brought me closer to Him than I ever thought possible. I long to know Him more and more. Time on this earth is short and I don't want to lose one opportunity to worship God or be close to Him. I want Him to push me out of myself so I can do more for Him. I just want ... MORE of Him!!! What is it that makes you feel even closer to God than normal? I'd love to hear from you!! "6 You alone are the Lord. You made the skies and the heavens and all the stars. You made the earth and the seas and everything in them. You preserve them all, and the angels of heaven worship you."